Note the difference: In the Sunday Magazines version — which, you will recall, was the first one printed (the quoted passage is from the October 25, 1914 issue) — McMurdo speaks of “silver” dollars, while in the Strand version (February 1915 issue) he speaks of “gold” dollars. What inspired the move from silver to gold? That is the Canonical bimetallic question. I have no idea how the change happened — no direct evidence, no piece of correspondence or editorial note. But I do have an idea why it happened, based on the chronology of the story and the history of dollar coinage in the United States. According to both the Sunday Magazines and the Strand versions of The Valley of Fear, the portion of the story featuring McMurdo (with the action in the Vermissa Valley) took place in 1875, and the murder of Jonas Pinto, McMurdo’s partner in counterfeiting, took place in 1874. 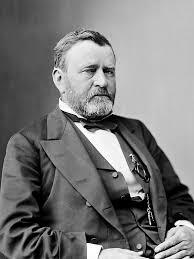 It would be difficult to pick a more implausible pair of years in which to portray a counterfeiter specializing in silver dollars, because in 1873 the U.S. Congress passed, and President Ulysses Grant signed, a Coinage Act that put an end to the minting of silver dollars — but not gold ones — for circulation in the U.S. 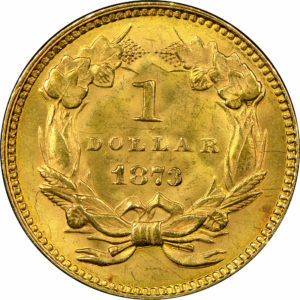 The 1873 Coinage Act was the most important early step toward a monometallic gold standard for the U.S. Bimetallism advocates called it the “Crime of 1873.” By 1878, the silver dollar was back, courtesy of the Bland-Allison Act of that year, though under a gold standard. So, if an author were to pick a period of time in U.S. history when a counterfeiter would be least likely to be producing faux silver dollars, 1874-75 would be smack in the middle of it. Yes, it is possible to construct chronologies for The Valley of Fear that dodge those inconveniently silver-dollar-free years of the mid-1870s. D. Martin Dakin, for example, does it (though not to deal with the bimetallic question we are considering here), and puts McMurdo in action in 1865. And yes, it is also possible to imagine scenarios in which McMurdo produces counterfeit pre-1873 silver dollars. Perhaps he had acquired old dies for minting fake “Seated Liberty” silver dollars — the genuine versions of which had been produced for many years pre-1873 at the Philadelphia Mint — and then abraded and soiled them a bit before passing them. So, why did the publishers of The Valley of Fear make the switch from silver to gold (and maybe from bimetallism to monometallism as well)? By now the answer is obvious, I hope: verisimilitude. I suppose someone brought the historical accuracy problem to the attention of someone with an interest in improving the story between editions, and the authority to do so — Arthur Conan Doyle or H. Greenhough Smith, perhaps. Or maybe it was a knowledgeable and helpful compositor acting on his or her own initiative, imbued with the admirable journalistic spirit of James Stanger, the bravely and relentlessly forthright editor of the Vermissa Herald. Printed in the U.S. by George H. Doran Co. (February 1915), in Canada by Hodder & Stoughton (March 1915), and in the U.K. by Smith, Elder & Co. (June 1915). Washington Star Sunday Magazine, Oct. 18, 1914, at 12 (“It was the fourth of February in the year 1875.”); The Strand Magazine, Jan. 1915, at 10 (same). Washington Star Sunday Magazine, Oct. 25, 1914, at 14 (“McGinty glanced his eyes over the account of the shooting of one Jonas Pinto, in the Lake Saloon, Market street, Chicago, in the New Year week of 1874.”); The Strand Magazine, Feb. 1915, at 185 (“McGinty glanced his eyes over the account of the shooting of one Jonas Pinto, in the Lake Saloon, Market Street, Chicago, in the New Year week of ’74.”). 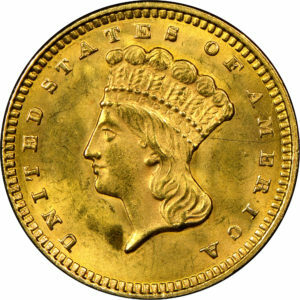 17 Statutes at Large 424, 426-427 (Feb. 12, 1873) (§ 14: “That the gold coins of the United States shall be a one-dollar piece, which, at the standard weight of twenty-five and eight-tenths grains, shall be the unit of value . . . .”) (§ 15: “That the silver coins of the United States shall be a trade-dollar [a coin for use only in Mexico and Asia, where the silver standard remained dominant], a half-dollar, or fifty-cent piece, a quarter-dollar, or twenty-five-cent piece, a dime, or ten-cent piece . . . .”); (§ 17: “That no coins, either of gold, silver, or minor coinage, shall hereafter be issued from the mint other than those of the denominations, standards, and weights herein set forth.”). Milton Friedman, The Crime of 1873, 98 Journal of Political Economy 1159 et seq. (Dec. 1990); Samuel DeCanio, Democracy and the Origins of the American Regulatory State 92 et seq. (2015). Statutes at Large 25, 25 (Feb. 28, 1878) (§ 1: “That there shall be coined, at the several mints of the United States, silver dollars . . . ; which coins together with all silver dollars heretofore coined by the United States, of like weight and fineness, shall be a legal tender, at their nominal value, for all debts and dues public and private, except where otherwise expressly stipulated in the contract. . . . And provided further, That nothing in this act shall be construed to authorize the payment in silver of certificates of deposit issued under the provisions of section two hundred and fifty-four of the Revised Statutes.”). In footnote 123 of his 2005 ”Reference Library” edition of The Valley of Fear, the incomparable Leslie S. Klinger gives a sharp, compact look at the state of silver coinage during this time. D. Martin Dakin, A Sherlock Holmes Commentary 212 (1972). The Sunday Magazines version of The Valley of Fear refers to the “Philadelphia Mint,” while the Strand version refers to the “Washington Mint.” Alas, the United States has never operated a mint in Washington, and so we must follow the Sunday Magazines on that point. 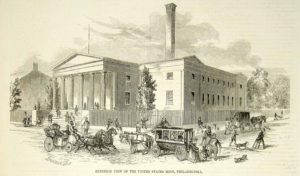 Headquarters operations were moved from Philadelphia to Washington in 1873, which may account for the error in the Strand. See United States Mint, Facilities History, www.usmint.gov/about/mint-tours-facilities. The Coinage Act of 1873 authorized the Secretary of the Treasury to “prescribe [regulations] for the protection of the government against fraudulent abrasion or other practices.” 17 Statutes at Large at 426-427 (§ 14). Anthony Boucher, Introduction, in The Final Adventures of Sherlock Holmes: The Valley of Fear xvii (1952). Jay Finley Christ, An Irregular Chronology of Sherlock Holmes of Baker Street 61-62 (1947). And why, if the American editors of the Sunday Magazines version were indeed working with Arthur Conan Doyle in mid-1914 on pre-publication revisions to the text, didn’t anyone catch the silver-versus-gold error? See Owen Dudley Edwards, Introduction, The Oxford Sherlock Holmes: The Valley of Fear xv-xvi (1993). Washington Star Sunday Magazine, Nov. 8, 1914, at 9-10; The Strand Magazine, Mar. 1915, at 265-267. Ross E. Davies lives in Washington, DC, associates with the Red Circle and the Diogenes Club in that city and with the Sherlockians of Baltimore and teaches law at George Mason University. The standard epigraph in his course materials is “nothing clears up a case so much as stating it to another person.” He holds the investiture of “The Temple” with the BSI and edits The Green Bag (which describes itself as “An Entertaining Journal of Law”) and its satellite publications, and operates a website devoted to Sherlockian toasts. He is the 61st Garrideb and has the investiture of Shinwell Johnson. He thanks Jon Lellenberg, Greg Ruby and Randall Stock for helpful comments on his article. This article was originally published in the Summer 2018 issue of The Sherlock Holmes Journal. It is reprinted here with the permission of the author and the Sherlock Holmes Society of London.